My cases began with scratchy, bare-bones calls over the wireless. Two cows, dead by tiger, 6pm at Khatiya Gate. At the scene I would find a story — told in blood and bones — of a stealthy predator and its unwitting quarry. But my job was not to hunt down and bring the killer to justice. 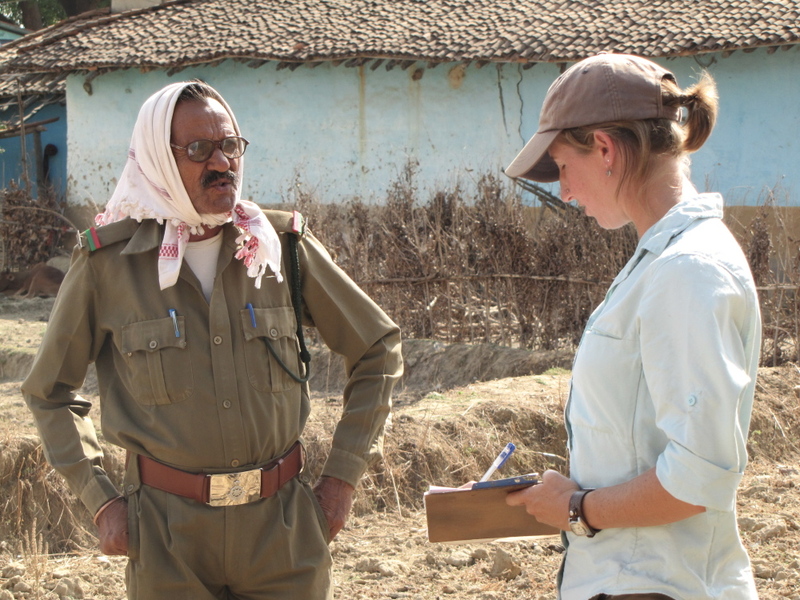 As a depredation detective, my charge was to better understand when and where tigers and leopards preferred to hunt and to prevent future losses to the livestock and livelihood of the people who live in their midst. 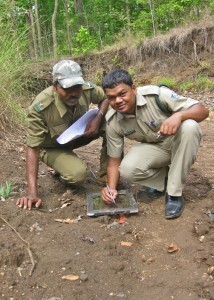 Forest guards record tiger pugmarks. 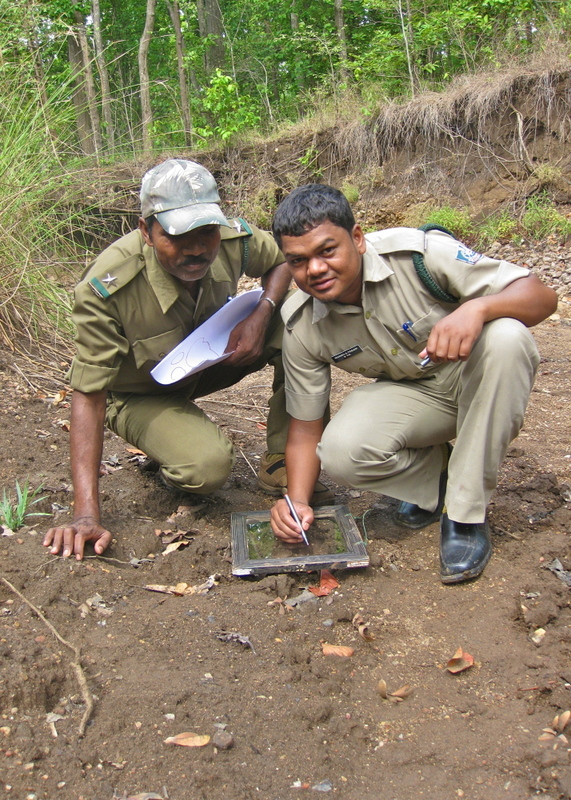 For 10 months in 2011-2012, I hit the ground daily with three Indian assistants in Kanha Tiger Reserve, one of India’s most prominent national parks. 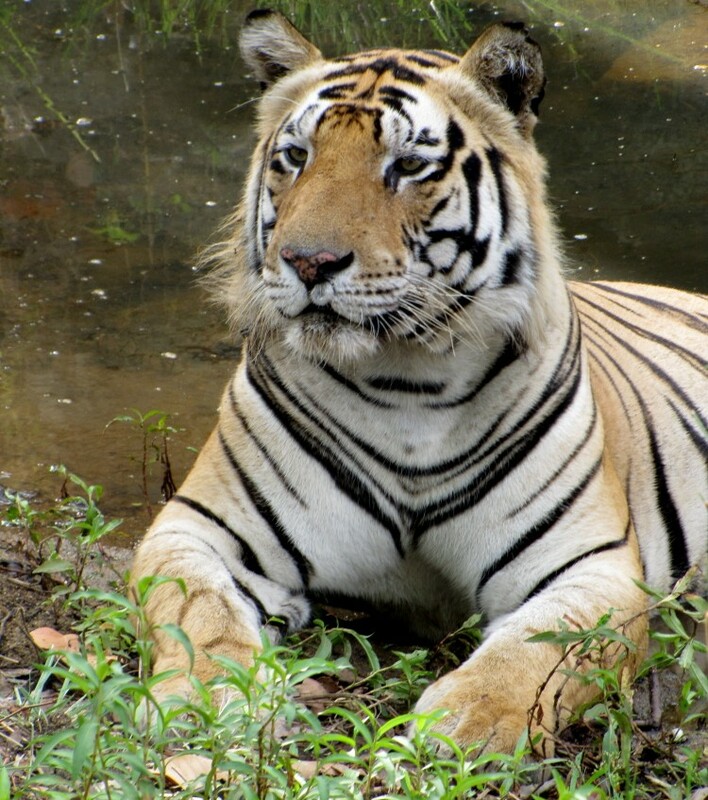 Located in the heart of Madhya Pradesh, among the country’s, largest, least developed, and most forested states, Kahna hosts a large population of tigers. From dawn until dusk, the four of us hiked the park’s dense jungles, grassy meadows, and sheer mountains, to sites where large cats had attacked domestic livestock. We scoured each location for evidence left by the predators—paw prints in soft mud, scratch and bite marks in the flesh of attack survivors. Tiger scratches on a surviving cow. In 2010, tigers and leopards killed 2,350 livestock in the state of Madhya Pradesh – more than six domestic animals every day – costing the Forest Department $140,000 in compensation payouts to villagers. 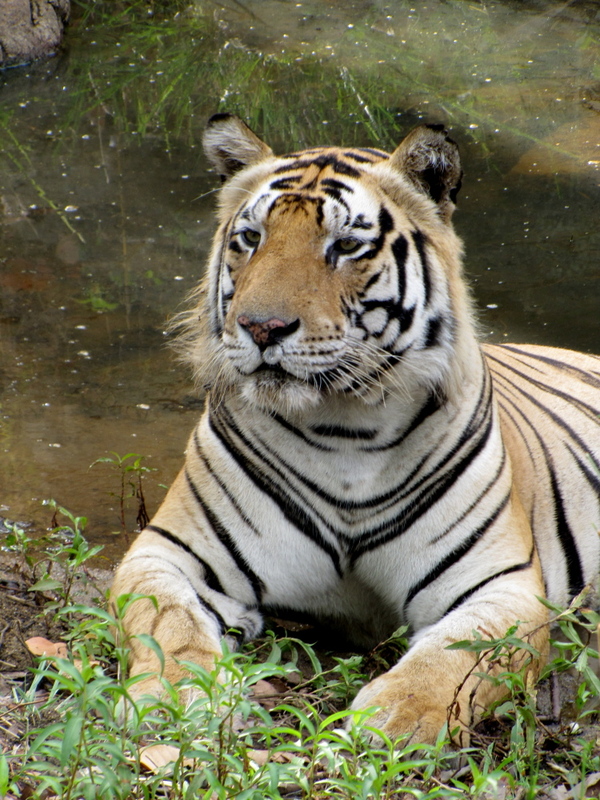 Though Kanha covers only 772 square miles, or 0.6 percent of the state’s 120,000 square-mile land area, the park’s ravenous population of large cats is responsible for 400, or 15 percent, of the state’s livestock kills every year. 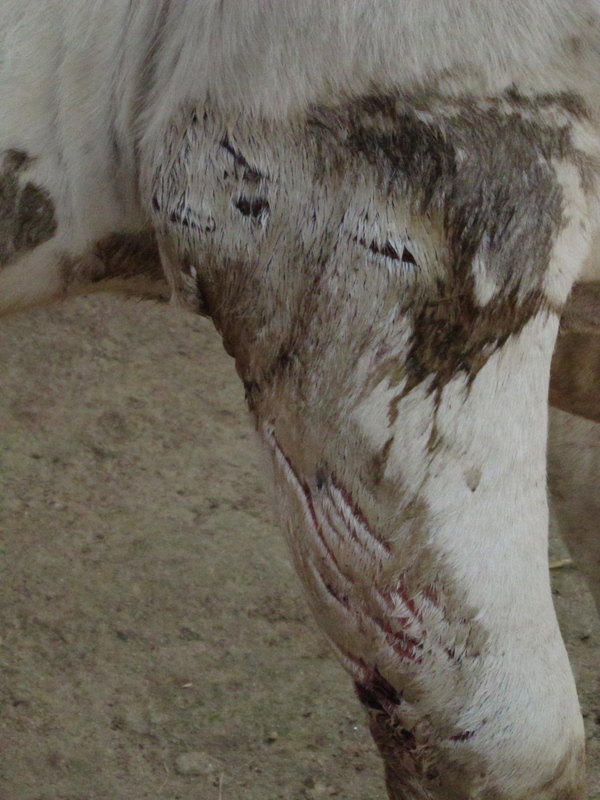 This high rate of attack has resulted in substantial losses in animal investment, field labor, milk, cash income, and even social status. 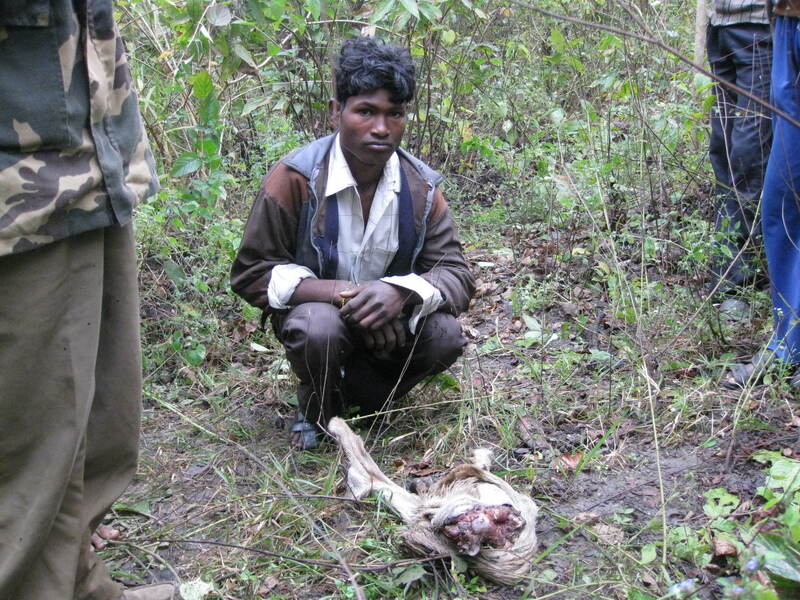 Some rural villagers have taken to poisoning livestock carcasses with insecticide, killing big cats as well as other scavengers, like jackals, hyenas, and wild pigs. A female leopard in the dense brush. and Environmental Studies, and Y.V. Jhala, a senior scientist at the Wildlife Institute of India, to develop a new conservation tool for mitigating human-cat conflict in India. 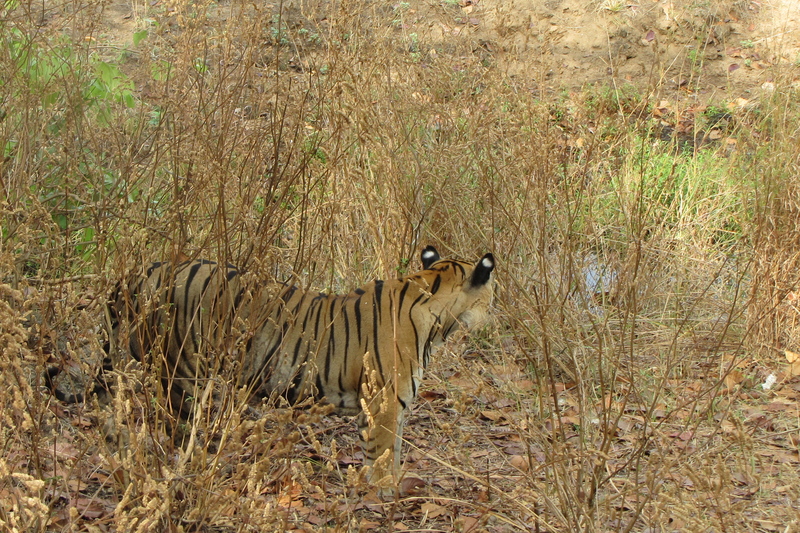 We plan to utilize the data from attack sites that I collected last year in Kanha to develop attack risk maps. Based on preliminary results, we suspect that tigers and leopards are most successful at killing livestock in dense forest that provides camouflage. Villagers and Forest Department officials will be able to use our maps when planning grazing routes to prioritize low-risk areas, where tigers and leopards are less likely to attack. We hope the maps will reduce the number of livestock killed and, ultimately, prevent the destitution that provokes villagers to target cats. A local shepherd beside the remains of one of his goats. I encountered sentiments of anger and retaliation while working in Kanha. On one wet monsoon day last August, my assistant Raju and I trudged through thick mud to where a tiger had recently killed a goat. When we arrived, we found the goat’s owner cursing and distraught. It was his seventh goat killed in the year. With three daughters needing wedding dowry, he explained, every goat lost was a blow to his family’s financial stability. To his mind, the removal of tigers by whatever means necessary was the only solution. In his hopelessness and anger, I caught a glimpse of what drives otherwise peaceful people to resort to killing. Domestic animals in central India graze without human supervision for most of the year, straying near or inside forests surrounding villages for the richer grasses there. My findings suggest that dense jungle and forest on the edges of open meadows may be the ideal vegetation to shroud stalking tigers and leopards. The timing, location, and repetitive nature of kills made by certain cats suggest that domestic prey may often be targeted by dispersing individuals in search of new hunting grounds or mothers with cubs. It appears that for hungry tigers, the opportunity for a freely accessible meal, no matter how close to humans, is simply too good to resist. A male tiger stalks in the high brush. I am now combining satellite imagery and GPS locations with our measurements of the height and number of trees and the types of shrubs and grasses at attack sites, so that we can better identify the types of environments where tigers and leopards kill livestock. In time I hope to develop new tools to reduce the tensions between people and carnivores, which will only increase as the inevitable overlapping of our respective ranges occurs. Photos courtesy of Jennie Miller. Jennie Miller is a PhD candidate at the Yale School of Forestry and Environmental Studies.